Kids love hands-on science experiments they can touch and feel. 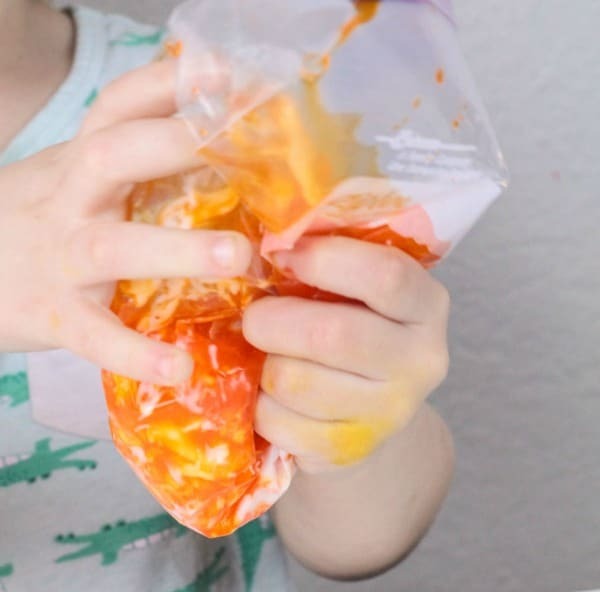 Have fun learning about non-Newtonian fluids and what makes something solid or a liquid in this simple science experiment. Best of all, the liquid or solid science experiment is low-mess, making it ideal to make in a classroom setting or with a group of kids at home. In this easy science experiment, you'll be making a non-Newtonian putty. Many kids also know it as slime. 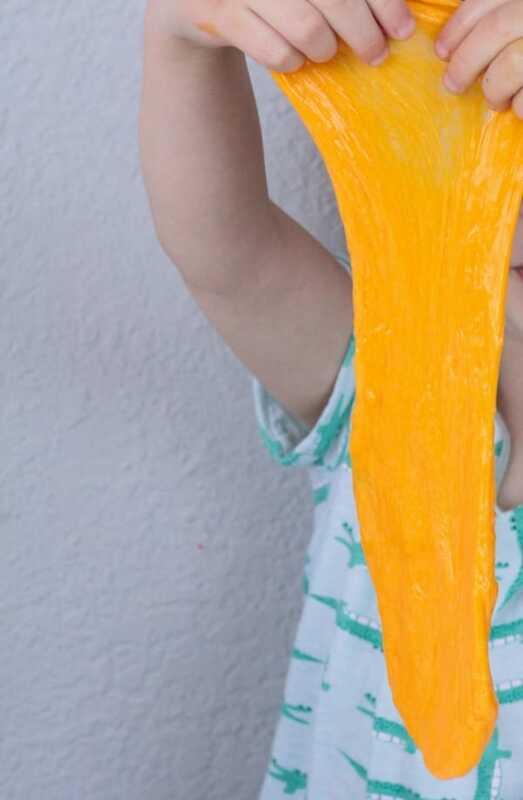 Your kids will love the opportunity to play with slime, making it the perfect time to ask them to make observations during this hands-on science activity. Add ¼ of a cup of water to each bag. 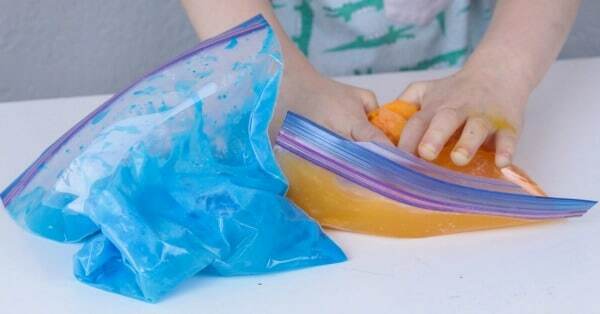 Squeeze in ¼ of a cup of glue per bag. Add a few drops of food coloring for fun. Make one bag for each child doing this activity. Close the baggies and seal them tightly. Let the kids shake up the bags to mix the liquid. In another container, heat some water until it is hot but not boiling. 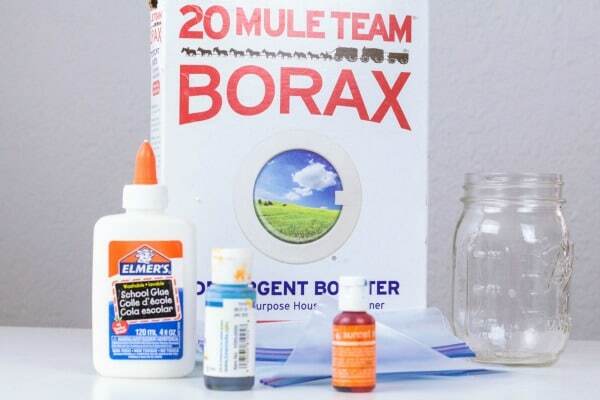 Add one teaspoon of Borax powder per cup of water and stir until dissolved. When the water cools, add ¼ a cup of water to each bag. Seal the bags and let the kids mix them up. After a few seconds, the putty will form inside the bag. Remove the putty and discard any remaining liquid. 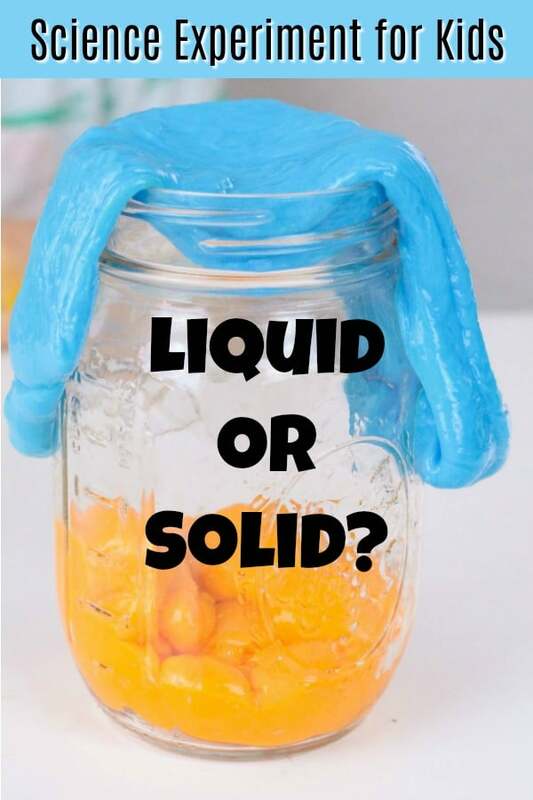 Show the kids how the putty has properties of both a liquid and a solid, depending on how they play with it. When does it act like a solid? When does it act like a liquid? If they've ever made oobleck, which is another non-Newtonian fluid, ask them to make comparisons. 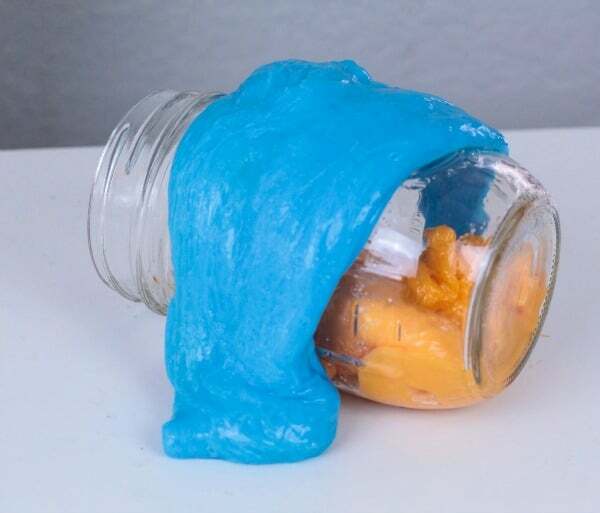 This putty (aka slime) is a non-Newtonian fluid. This simply means that the putty has properties of both a solid and a liquid. When you squeeze it or press it, it feels solid, but if you relax and let the putty flow, it moves like a liquid. Depending on how much water you add to the recipe, the putty will be more liquid like or more solid like. We hope you enjoy conducting this liquid or solid science experiment with your kids!